158 million people are using Snapchat every day from across the globe! Are you using Snapchat for your business? It may not be a platform that you had considered, but its creative tools can actually be great for creating a brand persona and your own recognisable filter – whether that’s by paying for a custom on-demand filter or manually making your own for each snap by utilising all of the tools available to you. As for a business purpose, Snapchat can be really useful to show your audience more than just the raw product and your promotions, but demonstrate what’s going on behind the scenes and portray a more personal feel – letting viewers in on areas such as the premises and your team, who they may have never got a chance to see otherwise. It’s a great way to show off what’s really behind the business, such as your organisational culture rather than solely trade, therefore letting your viewers engage and see more of a ‘human’ side to you rather than the robotic and corporate stuff. It’s great for demonstration, whether behind the scenes or showing how a product works. If you did want to incorporate promotions into your Snapchat account, it’s great for time limited discounts and offers. Snapchat is also great if you are hosting an event, as it raises awareness of it in the Maps where other people can see the snaps from anyone at the event (if their privacy settings enable them to). If you host a regular event it helps to promote the event to those not attending who can consider it for next time based on what they see from your snaps. It can also engage your audience in exclusive events that they can’t attend, giving them an insight and captivating them by including them in something that they can’t attend via any other avenue than Snapchat. Letting slip of small secrets, reveals and sneak peek previews, such as a new product launch, for example, keeps viewers interested. It can be used for interviews that you want to see your audience see, such as a key influencer to your business. All of this works like VIP access. It’s also great to connect you with others, rather than just getting people to connect with you. ‘Taking over’ someone’s account will introduce you to a new audience. Friending similar businesses to yours gives you an insight into how you can use Snapchat for yourself. Hosting competitions or encouraging your Snapchat audience to engage with you makes your business approachable and builds consumer relationships. You can change your general account settings so that other users can add you and see your snaps without being able to message you and without you having them as a friend on your account… celebrity status! If you tap the settings icon on the top right corner of your Stories page, you can choose between having everyone, your friends or a custom range of people to see your snaps. If you want to get reach, we’d recommend toggling your setting to allow everyone to see your Snapchat masterpieces. 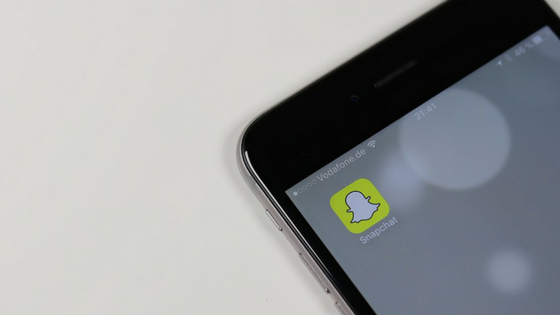 Millions of people are using Snapchat, so why don’t you try it out? Snapchat has lots of little compartments but no all-inclusive main menu to navigate yourself about, so I’ll do a job at explaining each one. Swiping as far left as you can brings up Chat; a backlog of your interactions with other users. The round circle in the centre is your camera where you take videos and photos with both your front and rear-facing camera. Below this is a smaller circle which takes you to Memories, where you can import and save snaps to. Swiping far right brings you to Stories; previews of all of your Snapchat friends’ stories in time order (most recent first) with your own story at the very top. You can use the search tool provided at the top of the screen across all of these menus. Tapping on the ghost symbol in the top left corner brings down your profile and Snapcode, people who have added you, the ability to add friends and a contact book of your current Snapchat friends. This page also gives you access to your settings, directs you to create Bitmoji and your own trophy case. You may want to question whether it’s appropriate for you to use Snapchat’s controversial Maps feature. If you’re a celebrity and your crazed fans are likely to show up at your doorstep to swoon over you, it’s probably best you remove the feature. Basically, it’s a question of privacy – whether you want or need it. Maps could work as a pinpoint on a map and make it easier for any visitors to find your location. You could even use it to keep track of your colleagues if their role requires travel, or if you just want to check up on them. With Snapchat Maps comes World Stories. These are visible when you scroll around the world map, and in areas with high activity of snapping you can view people’s snaps – this usually happens at big events like festivals. Getting involved in local stories will allow others to see your post, and raise awareness of who you are. Dependent on your location you can also use geotags, or you can create your own! You can design a custom filter which can be used in a custom location and time by Snapchatters. Head over to the web page to get started. This can be super useful for branding your snaps and any event you may host. The price charged by Snapchat for you to use a geofilter depends on the size of its geofence and the duration of its existence. A great tool for businesses; you can promote your browser link with www.snapchat.com/add/YOURUSERNAME and head people over to your site. If you go into your settings, down to Snapcodeds and then create Snapcode, you can enter your URL. More on this will be explained later, where you can apply this to your Snaps themselves. You can use Snapchat’s Groups feature to collect together all of your colleagues and use that as your communication platform. It could also be the communication tool you use with clients whether this is via a group or by snapping individuals. You may want to do this via the chat tool, however, if you feel able to snap selfies to each other to communicate then go ahead! When talking with friends, sending an address will give the option to view the address in whichever maps app you use on your device – making it easier to arrange plans. Remember to tap and hold the text for a few seconds in a conversation to save it – we’ve all been there and forgotten what we’re talking about mid-conversation thanks to the snaps expiring as soon as they’re opened. If you ever miss a snap, you can replay one once every 24 hours. Do this by holding the name of the friend whose snap you missed immediately after you just opened it for the first time which will then let you watch it again. Alternatively, the option to call is available on Snapchat. Tap the phone symbol when talking with a friend to voice call them, where they can choose to listen to you but you can’t hear them, or to join you in conversation which will default to speakerphone volume if you move your device away from your face. To initiate a video chat, tap the camcorder symbol where the recipient can similarly choose to watch or join you. Snapchat’s main feature is taking photos and videos to send to other users, or add to your own story where it will remain there for 24 hours. You can choose to use your front-facing camera or your rear one (if your device has both) by using the swap tool in the top right corner before you take a photo or during taking a video. You can also zoom in mid-video, sliding your finger up or down the screen to zoom in and out. Thanks to a recent Snapchat update, you can now shoot up to one minute of video rather than the previous 10 seconds, which comes out at 6 x 10-second video slots. Individual slots can be deleted and edited. To use Snapchat’s Lenses, tap on a face when using the camera and different lenses will appear to apply to your face like a filter, swipe left to alternate between them. You can do this on front and rear-facing camera mode. On rear-facing camera mode, items may also appear around the room that relate to that lens – when taking a video you can move these little animations about and enlarge or reduce their size. All of this motion will show up in the final video. When it comes to the snaps you take, Snapchat gives you loads of tools and features to add to them. These can be found in a column to the right of your screen once your photo/video has been taken. You can add text to the snaps, but also change its size, orientation and its colour. To change the size and orientation of the text, use two fingers to move it around and change it about. Once you have typed what you want, tapping once again on the ‘T’ will make your text larger and in bold font with a left alignment, and tapping again will give it a centre alignment. If you’d prefer to go back to the first font, just tap again, though the basic font will always have a grey transparent background to it. You can experiment by alternating between the three and seeing which you like best. A drawing tool is also available for you to doodle over your snaps. You can change the colour of this with the colour slider. In order to get a wider range of colours, when you tap the slider, hold it down and slide up your device’s screen for black, and slide down for white. You will notice at the bottom of the colour slider there is a love heart emoji – tapping on this will reveal a menu of more emojis that you can choose from. This feature works like a stamp, where you can change the size of the stamped emojis by again, using two fingers to shape its size and orientation. Select the emoji you want and tap on the screen to stamp it repeatedly. You can add stickers to your snaps. These consist of emojis, Bitmojis (if you have this feature enabled and an account set up) and Snapchat’s own stickers. As there’s so many to choose from, Snapchat has kindly given us a search bar to go with it. Not only can you add stickers to a video, but you can also pin them to a particular spot in your video. Do this by holding the sticker down until the video pauses, then move the sticker to where you want it to stay and drop it. The sticker will stay still on an inanimate object, or if you place it on something in motion it will move with it. The next tool down in the scissors drop-down is a group of four stars. This tool does the reverse – outlining a subject in your photo/video will remove it. These two cutting tools work separately – if you’ve added some cut-outs to your photo, choosing the stars tool will give you a blank canvas to remove from the original photo/video you took, without removing your new cut-outs. The next feature is a diagonally striped square – backgrounds. This tool allows you to add a background to your snap, and then use the cut-out tool to remove the overlay of the background from the subject of the snap. There are a few different backgrounds to choose from. The final sub-tool allows you to select an area of your photo and change its colour, using the colour slider. This final tool just allows you to choose how long you want people to be able to view your snap for. You get a choice of 1 to 10 seconds, and the option to place photos and videos on loop, or to just play videos once. With a video, you can change how the audio sounds, or remove it completely by muting the video. There’s also an option to change the sound to high pitch, low pitch, robotic or alien-like. This will save the snap to your camera roll. The symbol will change to show a tick once the image has saved. Sliding horizontally across your screen will reveal 4 colour filters and any geofilters available to you in your location (based on whether you’ve allowed Snapchat access to your location within your device’s settings. There are also filters that display the temperature, altitude, time and speed you’re travelling at (if you are moving). In order to use multiple filters, secure your first filter by holding the screen down with one finger and using another to swipe through the remaining ones – so, for example, you could make your photo have a black and white overlay and display the temperature too. You can only have two at one time. You can even create your own custom filter, or more of a haze, by dragging a sticker onto the photo and enlarging the sticker so much that it zooms out to leave a tinted colour over your photo. Alternatively, you could buy a stylus to do just the same job without consistently having to go in and out of your settings to turn the feature on and off when necessary. Tip: Use Travel Mode! Snapchat is an app that tends to use a lot of battery up when our smartphones and other devices have battery lives that are not the longest in the first place! Go into your Snapchat settings by tapping the ghost in the top right corner, then tapping the settings bolt symbol in the top right corner of your screen will lead you to toggle travel mode on. If you post a snap via ‘Memories’ (to enable this you have to allow access to your camera roll via settings), you can edit and refine a photo before uploading it – genius! This also means you can upload photos from your camera roll that were not directly taken on Snapchat. Within Memories in Snapchat, you can choose to import snaps (ones you’ve saved to your camera roll) which can then be viewed here. You can similarly access your camera roll from here and choose to upload these. When you upload as a story it will appear differently, set back in a white border and will display when the snap was taken. For example, if you upload a photo taken on your holiday 3 weeks ago, it will display that this was 3 weeks ago from your camera roll. Within Memories in Snapchat, you can choose to import snaps (ones you’ve saved to your camera roll) which can then be viewed here. You can similarly access your camera roll from here and choose to upload these. When you upload as a story it will appear differently, set back in a white border and will display when the snap was taken. For example, if you upload a photo taken on your holiday 3 weeks ago, it will display that this was 3 weeks ago from your camera roll. One great attribute of Memories is that it allows you to save storage on your device by importing photos to the cloud – which usually take up quite a bit of memory. It also means you’ll never lose one of your Stories by giving you the option to automatically save to your memories – go to Settings, tap Memories and switch Auto-Save Stories to on. Shazam is integrated into Snapchat. That’s right, you can now find out what song it is you heard through the Snapchat app, pretty much having the same functionality in Snapchat now as in the Shazam app. To use this function, just tap and hold a part of your screen when it is in camera mode while music is playing in the room or area you are in. Snapchat will then get back to you by popping up with a dialogue box telling you the name of the song, the artist and potentially displaying an album cover. You then have the choice to dismiss this or tap song info which will direct you to the Shazam website. To use this function, just tap and hold a part of your screen when it is in camera mode while music is playing in the room or area you are in. Snapchat will then get back to you by popping up with a dialogue box telling you the name of the song, the artist and potentially displaying an album cover. You then have the choice to dismiss this or tap song info which will direct you to the Shazam website. You then have the choice to dismiss this, or you can tap on the song info which, will direct you to the Shazam website.